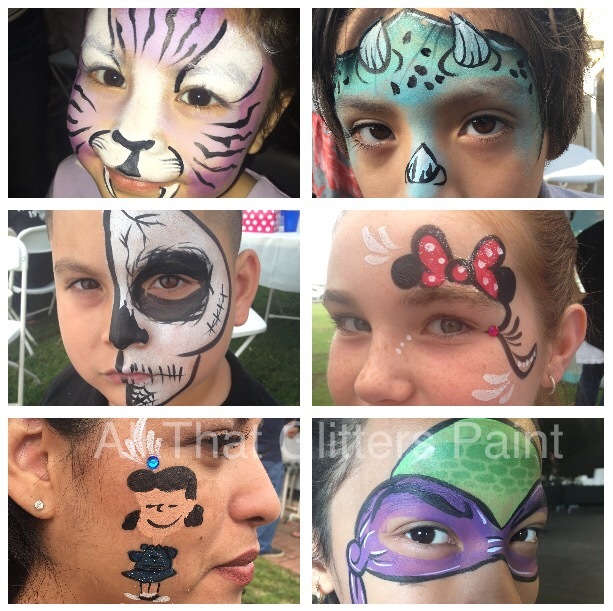 Let me add some glitter to your special occasion and Face paint! Dates are filling up fast, so make sure to reserve your day today! Great prices with exceptional service! 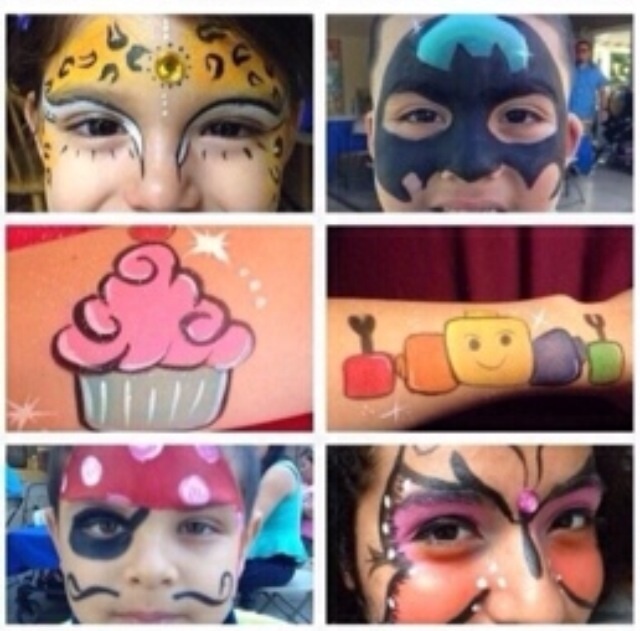 I can paint about 13-16 kids per hour depending on the design. I bring my work station, 2 chairs and a menu with 50+ designs to choose from. Glitter and rhinestones included. Amazing creativity that pleased all at our Carnival! She works very quickly while giving everyone something they will love! Will hire again! You can expect myself, as an artist, to arrive on time, paint the birthday boy/girl first, and let guests chose their design from my menu with 50+ designs. Guests leave with a memory of your event and a special design made specially for them. 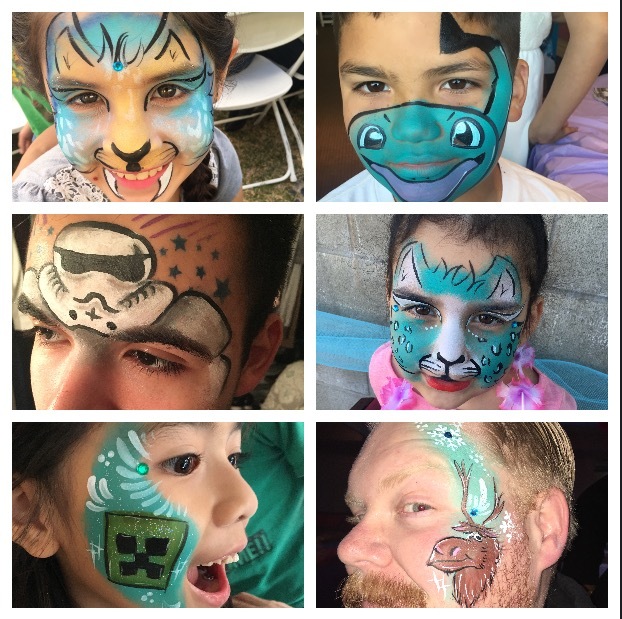 Face painting for any special event. This will definitely be the highlight of your event. Any event that requires travel of 35+ miles will be charged a traveling fee of $10. Work station, 2 chairs, face paint products, glitter and rhinestones. Recent review: She did a great job!